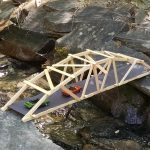 Building a model bridge is one of the most rewarding hobbies I have done in my entire life . I have learned a ton about working with wood and tools. 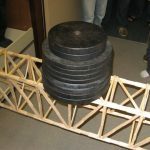 I have also learned the basics in bridge engineering, and have a greater appreciation for real bridges. Model bridge building has also given me a originative outlet that I can share with others. Not only does it give me something fun to do, I can show off my creations and attest to their abilities. 27 queries in 0.448 seconds.